Providing a "hand-up, not a hand-out"
Strive2Thrive (S2T) is Albany's vision to empower families to overcome poverty and become productive and inclusive community members. 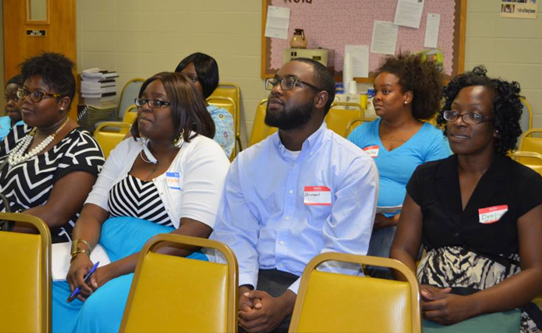 The premise of S2T focuses on using every available resource to move Dougherty County families into self-sufficiency through coaching and correlative training that aligns with the labor needs of our region. This unique process focuses on providing access to social capital, purposeful networking, and dedicated "coaches" (who are middle and upper class community members who have a vested interest in helping families receive ongoing support and direction) in order to attain self-sufficiency, productivity and success. If you would like to enroll yourself or your family in the Strive2Thrive program, fill out our Program Enrollment form by following the link below. If you would like to become a partner with Strive2Thrive, fill out our Corporate Partnership form by following the link below.